«There is a widespread misunderstanding further to which sources of radical Islam are born in the Middle East, Israel and Palestine. That’s not true, indeed. The Indian subcontinent is equally responsible for radical Islamism as the Middle East, in particular thanks to a man largely ignored by the West. His name is Maulana Maududi». THE BOOK: Born in the heart of the al-Qaeda war in the Middle East, ISIS has its ideological pillars far away from those conflict zones. To understand the objectives, the laws and the ethical rules of the so-called “Islamic State”, a historical and geographical backward path is to be followed tackling a route back that brings from the recent Bin Laden and Taliban lands to the British mid-twentieth century and to Maududi, the Indo-Pakistani theologian too long ignored by the West. 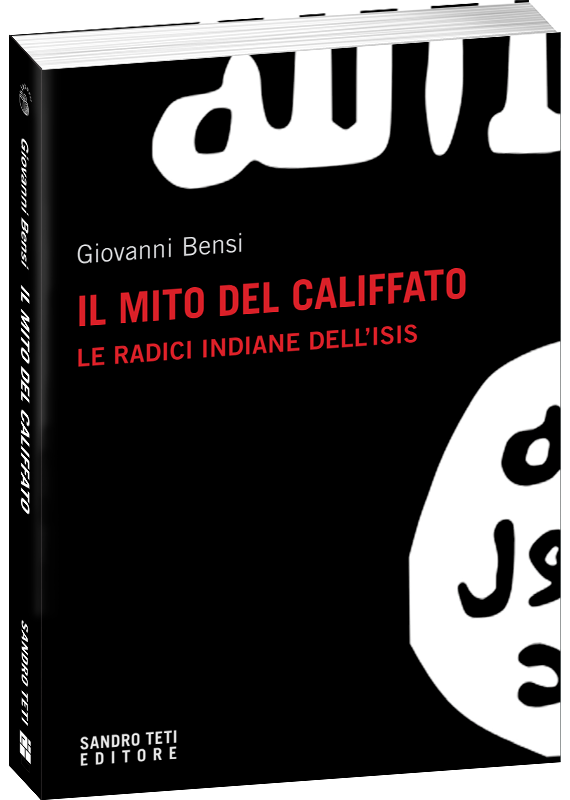 This book, through a faithful and realistic analysis, reveals with plenty of sources and testimonies what lies behind the crazy myth of the “caliphate” revealing the Indian origins of Islamic fundamentalism. Giovanni Bensi:(1938–2016). Italian journalist, expert on historical-religious issues of the Soviet and post-Soviet spaces, was one of the most authoritative voices of the Russian-language broadcaster Radio Svoboda, for whom he worked for a long time even in Peshawar, where he witnessed the birth of the Taliban regime. He wrote for the Russian newspaper Nezavisimaja Gazeta and for Avvenire and was the author of numerous essays. With the publishing house Sandro Teti Editore he published Le religioni dell’Azerbaigian (2012).